New construction to be built on prime 1.42 acre lot in prestigious Woodlynne at Bingham Farms. 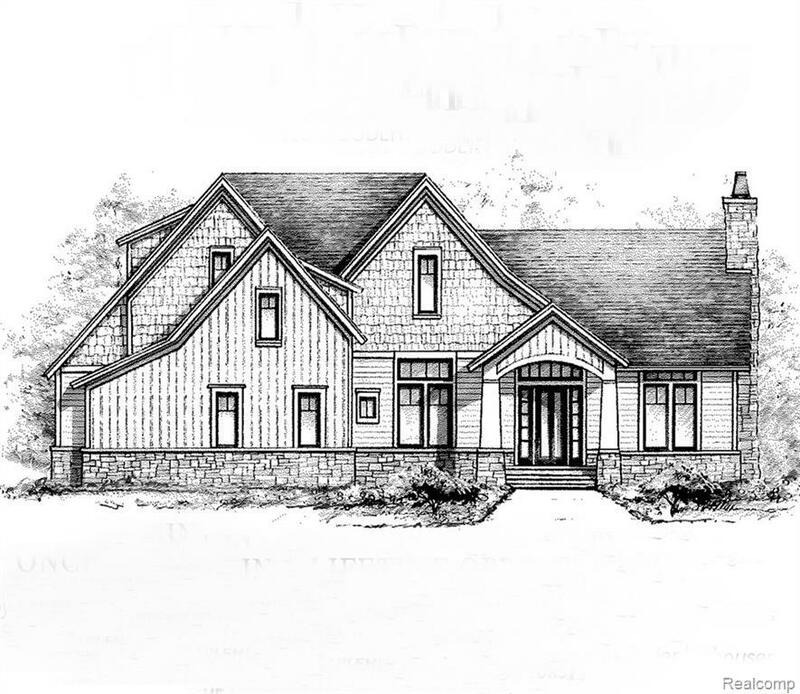 Nationally known builder David Jensen is offering state of the art construction featuring classical architecture, stone & brick exterior w/wood siding & Marvin Integrity windows. High ceilings, creative, flexible open floor plan & convenient first flr master bedroom suite. Masterful light & space design adds to the exceptional living space w/custom mill work & high-end amenities. Beautiful H/W floors, 3 additional bedrooms w/suited baths, spacious kitchen, & main floor laundry/mud rm. Entertain in the expansive, vaulted great rm w/ fireplace. Relax in the all season rm w/ peaceful wooded views. Basement w/ 9 foot ceilings & 3 car heated garage. Award winning Birmingham & private schools. A unique opportunity to obtain the last estate sized lot in this exclusive Bingham Farms neighborhood. Builder willing to build to suit and lot may be purchased separately, contact agent for details.